Wooden floor - is environmentally friendlycoating helps to maintain optimal indoor climate. 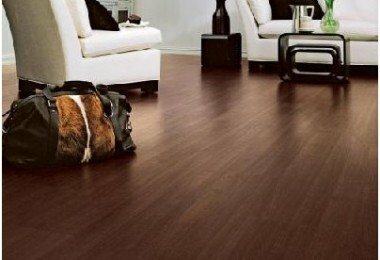 Compared with synthetic flooring, wood floors are more durable and long lasting. But they need to be protected. If you do not expose them to special treatment, the wood will rot very quickly, filled with harmful microorganisms and deformed. 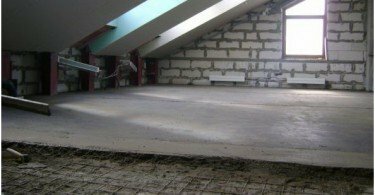 In this article you will learn how and what to paint a wooden floor in the country, at home and in other areas in order to prolong its life and improve the aesthetic effect. Protective impregnation: what to choose? In appearance, all paints are divided into opaque and transparent. 1. Transparent - It varnishes and impregnation. The composition of some of these pigments may be added to facilitate the identification of natural wood structure. 2. Opaque - A paint solvent-based (polyvinyl,polyurethane, oily, alkyd, acrylic) and water-dispersible acrylic paint. The most popular - polyurethane, alkyd and acrylic paints, as they provide a fairly high-quality finish and easy to use. 1. 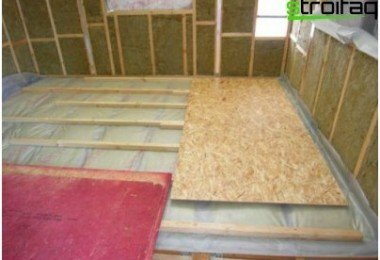 Flame retardants reduce the fire hazard, it protects wood material fire. Such infiltration may be needed in the public and industrial premises. 2. Biocides, Antiseptics protect against exposure to insects, blue, mold and mildew, increases the lifespan of the wooden floor. This impregnation may be superficial and deep. The home is only suitable surface impregnation. Spray or brush applied to the dried andpurified wood. The industrial areas are often used deep impregnation, which is treated boards with sophisticated technology to ensure the best possible treatment of all wood. 3. Oiling. 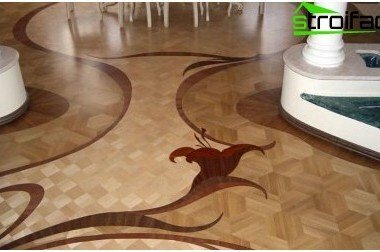 They are made of wood and linseed oil,and modified natural resins and used for the promotion and protection, and for toning the floor of the timber. The oil is absorbed into the wood varnish is much deeper. 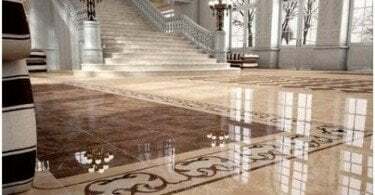 The result - a floor surface substantially strengthened, becomes water resistant, it acquires a silky shine. It is better to select oils that do not contain solvents. Give preference to natural, not very fast drying oil. Apply them in the terrain areas, for example, in the living room or hallway. If you have not yet decided what color the floor at the cottage, we advise to stop the choice on the oil surface. This is the best solution for unheated buildings and open-air, as well as swimming pools, bathtubs and showers. 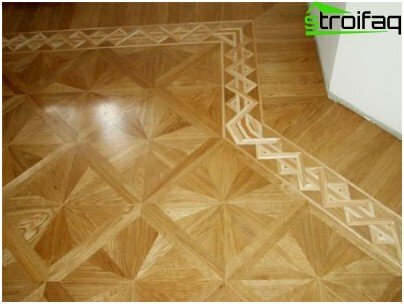 Usually, wooden floors, and if selected lacquers,the alkyd, they are the most durable. But they are coated by paints often, since they are not able to fully protect the wood against mechanical damage (strokes heels, traces of furniture, etc.) due to high elasticity even in the dry state. On varnished floor is allowed to move only in soft shoes. For residential premises suitable only paints made without the inclusion of corrosive solvents. Paint for use in the living room shouldselected primarily on the basis of its environmental performance. In this regard, the ideal option - a water-dispersion paints do not contain organic solvents. They are waterproof, fit perfectly to the surface and does not lose color. acrylic paint (Waterproof) suitable for kitchen and bathroom floors. The best option for flooring - alkyd paint. Keep in mind! In the 1st quarter. 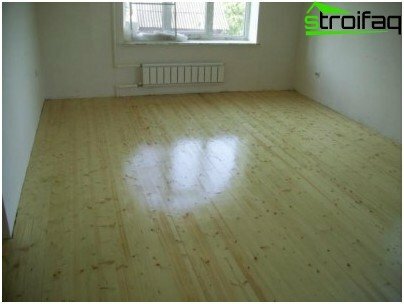 m wooden floor on the average need of the coating layer 2 180 - 250 g of paint. Please note that each bank is required to indicate its ink coverage, storage and application, the strength characteristics. How to paint the floor? Important! The top layer is any coating applied no sooner than have time to dry the bottom. Applying nail polish. Apply the first coat of varnish, give it to dry thoroughly. We remove all the flaws with a fine sandpaper and causes the next layer, wait until it dries. The best option - the application of varnish 3 layers. Important! All coatings are applied only to completely dry the floor! 1. Wooden floor pre-coated with varnish or a primer and dried for 3 days. Then apply a layer of paint, wait until dry, apply a second layer, dry it in 4-7 days. 2. Fill the oil filler in paint tone; cracks and other defects in the boards to align. Paul handle fine sandpaper, then proshpaklevat, then align the cloth again. To do so, until the putty will not cease to appear. Paint applied as two or three layers. 3. 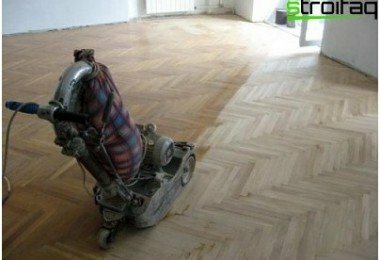 The floor is covered with drying oil, dry, proshpaklevat in several layers, thus clearing the cloth after each time. Then primed and painted in three layers (each thoroughly dried). Painting a wood floor - The task doable even for a person who does not possess a special building skills. Just consider all the nuances and act according to the recommendations above.